Project Roadmap – What Are the Actual Benefits of the New Online Tool? 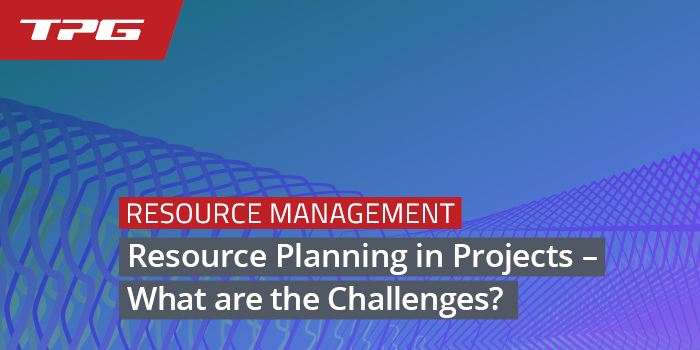 Resource planning is a huge challenge for project management. Projects require enough staff – even when things do not go quite according to plan. The staff’s team leaders or superiors complain about ever-changing requirements. And the PMO is supposed to set things right. The PMO will never fully resolve this resource conflict. All the same, it can defuse it by following a strategic and goal-oriented line of action. What is resource planning in project management? When planning and implementing a project you need resources. That is, people and materials to carry it through. The act of assigning resources to your project is called resource planning or resource management. The resources you need tend to be needed for other competing projects as well – hopefully not at the same time. You draw on the same resource pool as other project managers. The project may not go according to plan, and you may need to re-plan. Perhaps, you end up requiring additional resources. Or you need the resources for longer than you initially planned. That is why resource planning is rarely a one-off activity but constantly accompanies project management. keep conflict low at the same time. These are ‘prioritization’ and ‘coordination processes’. To design these well, consider first of all what type of project you are dealing with. Are you are responsible for a portfolio of development projects? In this case, you are forming your own resource peaks and are in a comparatively good position. It is up to you to make your prioritization rational and comprehensible. Contract projects are a different thing altogether. Requests, cancellations and confirmations arrive unchecked. You have to work with vague forecasts, and every client wants to be courted. Are you responsible for a sales pipeline of this type? You will have to handle probabilities and continually adjust your planning to the order situation. Internal corporate projects are to be treated like any other contract project. On the plus side, fewer parties are involved in the prioritization. On the minus side, these internal projects tend to be the first to be postponed in the case of limited resources. Tip: Be clear about which of the mentioned project types you are dealing with. And what challenges typically come with it. expected to react to them quickly. Team leaders cannot report on the availability of their team. a project with a higher priority will take precedence overnight. How can we guarantee systematic, overriding project resource planning, which is in line with company goals? Status update from team members (time, results) informing the respective project managers who worked on what. Preferably weekly. Team status meetings dealing with the members’ status updates, problems and escalations. Likewise weekly. If necessary, resource coordination between project manager and team leader on a bi-weekly basis. You have yet to introduce resource management? Read how to go about it fast and well! Or consult our 6-Step Guide to the Introduction of Tactical Resource Planning. Team leaders often have to make agreements with several project managers. Therefore, they should receive well-structured requests from the projects. Reliable, agreed-upon processes are indispensable for all involved. 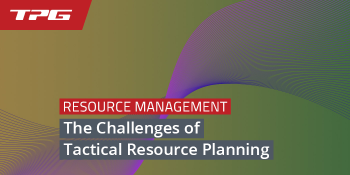 Find out about the Requirements of the Processes for Resource Planning. Read now. When decisions are needed, a regulated process of resource planning and coordination needs to be adhered to. How to do resource planning has to become common knowledge. All involved must be familiar with the process and the rules. The first prerequisite for realistic results is calculating with actual availability! Deduct the appropriate amount of time for operations, public holidays, vacation time, further training etc. The second prerequisite concerns the portfolio planning. The capacity requirements for running and new projects must be complete. The third prerequisite is consolidating the capacity requirements at the level of skills or teams needed. You might also like our 4 Steps to Success in Strategic Resource Planning. When planning the portfolio, approving the capacities for projects with top priority has to take precedence. Capacity bottlenecks are removed by postponing the projects with a lower priority. And/Or by securing additional capacities. Resource planning between project managers and team leaders is always a challenge in project management. In this free eBook, you will learn how meeting this challenge can become easier. In a dynamic environment, this will not be a one-off process. The following situation will occur time and again: Resources are insufficient and need to be redistributed. Companies with 10 or 20 projects can still do this by hand. Starting from 30 projects, it gets difficult. With several 100 projects, strategic resource planning without tool support becomes impossible. Resource planning for projects always starts the same way. The individual project managers and team leaders attempt to plan as realistically as possible. In the course of planning, they already have one option to help them reduce, or even avoid, bottlenecks. They can place their projects strategically along the timeline. Not everything needs to start at once! Read our MS Project Tip: Learn how to use the new 2016 feature Resource Engagements! The form of organization affects the resource planning for projects. It makes a difference whether you are in a line organization or a matrix organization. 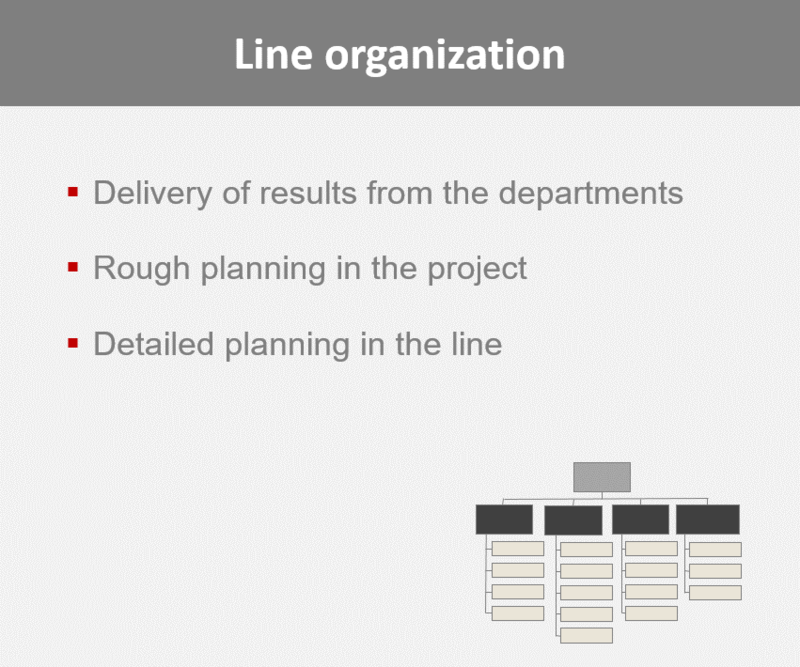 In line organizations, the departments or teams deliver results to the project manager. That is, all that usually happens in the project is the rough planning. What is needed when? 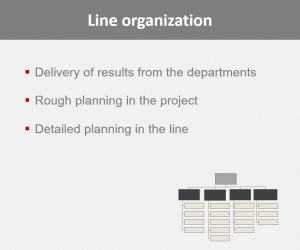 Detailed planning takes place in the line. I.e. who is working when? With what effort? And for which result? The resource owner is the resource planner at the same time. The role determines target dates and efforts. The data are entered into the project-planning tool. More detail on the Impact of the Form of Organization on Resource Planning in this article. From the project manager’s perspective, this alternative is easier. But it is not exactly agile. 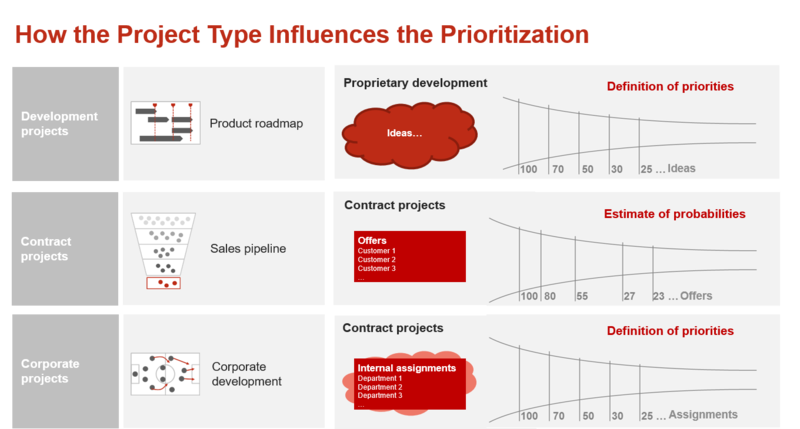 Due to interference or new requirements, the priorities in a project can change. In such a case, the line organization offers little scope to replan the resources. In matrix organizations project managers reserve resources from the teams. In the teams, there is only rough planning. Who is working on what project? And when? The detailed planning happens in the project. Who is doing what exactly? And when? The challenge for the team leader: They often receive many requests and have to decide. Especially when something changes in the project, it is necessary to weigh the needs. Integrated Project and Resource Management. 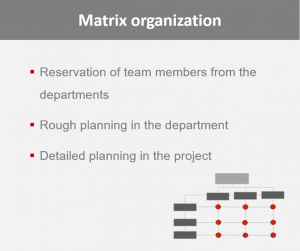 In matrix organizations, project managers have access to the resource pool. They assign members from different teams to their projects. Team leaders assign operations, but also further training, vacation etc., to their team members. The sum of both their planning adds up to the overall resource utilization. Project managers are not aware of the resources’ actual availability. Team leaders are not entirely in the picture about their team members’ resource utilization. They cannot see how the latter are currently assigned to projects. If the planning for a project changes, this results in direct conflicts. These conflicts concern the team leader’s planning but also that of other projects. 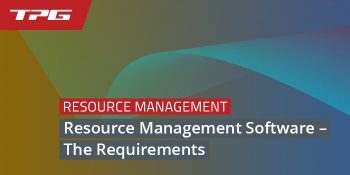 Project managers register their resource requirements with the teams at project level. The team leaders align the requirements or rather bring about decisions. They commit resources to the projects for agreed periods of time (i.e. per month). Differences resulting from changed requirements are analyzed and coordinated in regular iterations. With this solution, a large amount of data needs to be recorded, shared, and updated. Many companies actually use efficient for project and resource management solutions for projects. Find out more about the features of such a proposed solution. But the team leaders responsible for the resources often work with self-created Excel tables. There is no data exchange between these two worlds. But such an exchange could remedy the communication problem. This is the challenge that needs to be overcome. In portfolio planning: Work with complete capacity requirements for running and new projects. Consolidate the capacity requirements at the level of required skills or teams. You now understand the differences between line and matrix organizations. At least when it comes to operational resource planning for projects. We have presented you with a proposed solution for project resource planning in matrix organizations. This leaves you with an ultimate challenge. 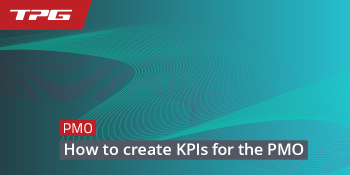 You need to automate the data exchange between the team leaders’ planning and the project managers’. Do you have questions or suggestions? Please use the comment area below. We will respond within a short period of time. Final tip: Subscribe to the TPG blog newsletter now and never miss another blog post.